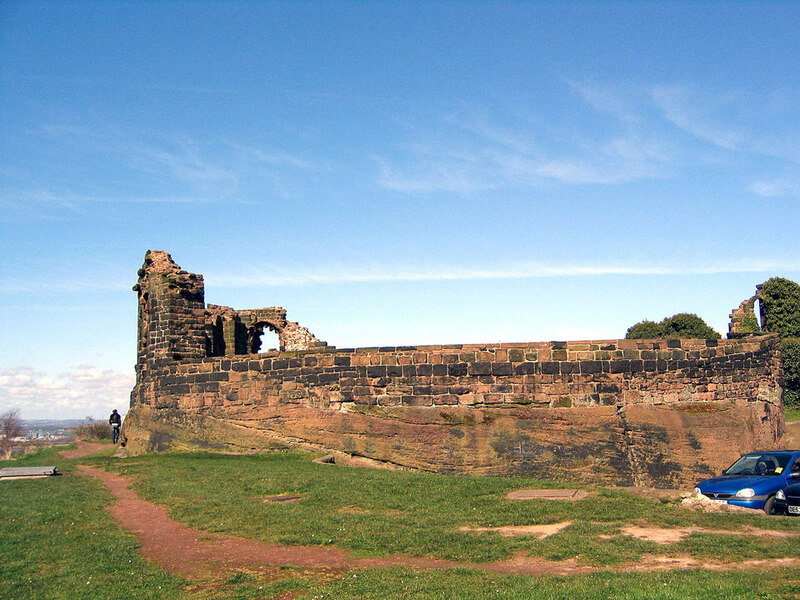 It stands on a high ridge above the town of Runcorn with views across the Mersey. The first timber structure was built in c. 1070 and construction in stone started around 1200, but the visible stonework dates from the early 14th century. The castles was besiged twice during the Civil War in 1643 and 1644 and it was then slighted by Parliament in 1650 with the walls being badly damaged. The 1450 gatehouse was then used as a courthouse until 1730 when a new one was built. Most of the stone from the castle has been reused for buildings in the town.